Lessons are the best way to promote rapid individual growth. 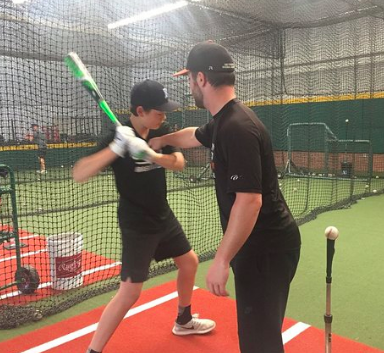 Our expert coaches are able to pinpoint a player’s strengths and weaknesses to help improve their game, maximizing their potential as a player and person. Lessons can have singular or multiple focuses throughout the half hour or full hour. Please be advised, you can request a specific coach but understand that it is not a guarentee. Nevertheless, we will always put your son or daughter with an expert coach who will optimize their development. 48 hour advance notice is required for cancellation. Private Lessons are an one-on-one session with a coach. Packages available below. Want to have a lesson with your friend? The SFBA has you covered! Please be advised that the SFBA does not provide you with a second player.